Turpentine balm: 12.5% cedar resin in cedar oil in 100 ml bottle. Weight: 200 g per item. For adults it is recommended to take 3 tea spoons 3 times a day as a food additive with breakfast, lunch and dinner. Resin in turpentine balm accelerate..
Turpentine balm: 20% cedar resin in cedar oil in 100 ml bottle. Weight: 200 g per item. Resin in turpentine balm accelerates upto 10 times the metabolism in the human body. Cedar oil in turpentine balm serves as regeneration by providing cells o..
Turpentine balm: 5% cedar resin in cedar oil in 100 ml bottle. Weight: 200 g per item. For adults it is recommended to take 3 tea spoons 3 times a day as a food additive with breakfast, lunch and dinner. Resin in turpentine balm accelerates u..
Turpentine balm: 30% cedar resin, 10% aloe pulp, in cedar nut oil, 100 ml bottle. Weight: 200 g per item. Siberian cedar is common name for Pinus Sibirica. Resin in turpentine balm accelerates upto 10 times the metabolism in the human body. Cedar ..
Cedar (Pinus Sibirica) resin, 30% on linseed oil base (virgin, cold-pressed). Russian common name for cedar resin "Zhivitsa" derived from "Zhiva" which means "Life" or "Life Power". It is called so for rea..
Turpentine balm: 30% cedar resin, 10% propolis in cedar nut oil in 100 ml bottle. Weight: 200 g per item. Siberian cedar is common name for Pinus Sibirica. Resin in turpentine balm accelerates upto 10 times the metabolism in the human body. C..
Turpentine balm: 30% cedar resin, in cedar nut oil in 100 ml bottle. Weight: 200 g per item. Siberian cedar is common name for Pinus Sibirica. Resin in turpentine balm accelerates upto 10 times the metabolism in the human body. 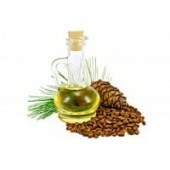 Cedar nut oil in tu..
Turpentine balm: 12.5% cedar resin in cedar oil in capsules. Weight: 200 g per item. 1 bottle contains 90 capsules. For adults it is recommended to take 3 capsules 3 times a day as a food additive with breakfast, lunch and dinner. Resin in tur..
Turpentine balm: 5% cedar resin in cedar oil in capsules. Weight: 200 g per item. 1 bottle contains 90 capsules. For adults it is recommended to take 3 capsules 3 times a day as a food additive with breakfast, lunch and dinner. Resin in turpen..
Made of a whole cedar cone (Pinus Sibirica). Cedarwood essential oil - 100% natural essential oils produced by ecologically pure and ancient methods of steam distillation of needles, turpentine, pine cones of Siberian cedar, have potent antiviru..
Cedarwood essential oil - 100% natural essential oils produced by ecologically pure and ancient methods of steam distillation of needles, turpentine, pine cones of Siberian cedar, have potent antiviral effect, are a source of natural pro-vitamins a..
Cedarwood essential oil - 100% natural essential oil produced by ecologically pure and ancient methods of steam distillation of needles, turpentine, pine cones of Siberian cedar, have potent antivirus effect, are a source of natural pro-v.. Contains: cedar resin, cedar nut oil, sea buckthorn oil, linseed oil and propolis. The components of Zhivaton combined together provide great cumulative healing effect compared to each component on its own. For adults it is recommended to take 2 t.. Contains: cedar resin, cedar nut oil, sea buckthorn oil, linseed oil and propolis. The components of Zhivaton combined together provide great cumulative healing effect compared to each component on its own. For adults it is recommended to take 2 c..
Turpentine balm: 30% cedar resin, 10% mumijo, in cedar nut oil, 100 ml bottle. Weight: 200 g per item. Siberian cedar is common name for Pinus Sibirica. Resin in turpentine balm accelerates upto 10 times the metabolism in the human body. Cedar nut..